• Amory Police Department, Miss. • Bay County Sheriff's Office, Fla.
• Bonifay Police Department, Fla.
• Culpeper County Sheriff's Office, Va.
• Halifax County Sheriff's Office, N.C.
• Stone County Sheriff's Department, Mo. • Walton County Sheriff's Office, Fla.
• Brookfield Police Department, Mo. • Elizabethton Police Department, Tenn.
• Greenup County Sheriff's Office, Ky.
• Jefferson County Sheriff's Office, Ill.
• Laclede County Sheriff's Department, Mo. • Lawrence County Sheriff's Office, Mo. • Linn County Sheriff's Department, Mo. 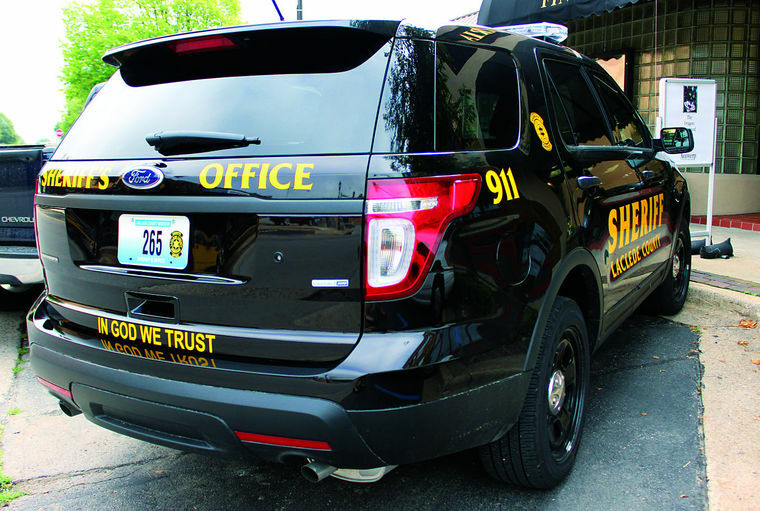 • Marion County Sheriff's Office, Fla.
• Ralls County Sheriff's Office, Mo. • Randolph County Sheriff's Office, Mo. • Barry County Sheriff's Department, Mo. • Boaz Police Department, Ala.
• Camden County Sheriff's Department, Mo. • Cape Girardeau County Sheriff's Department, Mo. • Cave City Sheriff's Department, Ark. • Cole County Sheriff's Department, Mo. • Hempstead County Sheriff's Office, Ark. • Lee County Sheriff's Department, Va.
• McDonald County Sheriff's Department, Mo. • Newton County Sheriff's Department, Mo. • Pineville City Marshal, Mo. • Ripley County Sheriff's Department, Mo. • Baldwin County Sheriff's Office, Ala.
• Barton County Sheriff's Office, Mo. • Buchanan County Sheriff's Office, Mo. • Burke County Sheriff's Office, Ga.
• Callaway County Sheriff's Office, Ga.
• Dyer County Sheriff's Department, Tenn.
• Franklin County Sheriff's Department, Ill.
• Graham County Sheriff's Office, N.C.
• Hardin County Sheriff's Office, Ill.
• Henderson County Sheriff's Department, Tenn.
• Howell County Sheriff's Office, Mo. • Iberia Parish Sheriff's Office, La. • Jasper County Sheriff's Office, Mo. • Jena Police Department, La. • Madison County Sheriff's Department, Mo. • Mineral County Sheriff's Office, W.V. • Nodaway County Sheriff's Department, Mo. • City of Osceola, Ark. • Ozark County Sheriff's Department, Mo. • City of Sulphur, La. • Texas County Sheriff's Department, Mo. • Union Parish Sheriff's Office, La. • Vernon Parish Sheriff's Office, La. • Vidalia Police Department, La. • Coweta County Sheriff's Office, Ga.
• Douglas County Sheriff's Office, Ga.
• Gilmer County Sheriff's Office, Ga.
• Laurel County Sheriff's Department, Ky.
• Paulding County Sheriff's Office, Ga.
• Smith County Sheriff's Department, Tenn.
FFRF reminds the agencies that citizens trust law enforcement officers to attend to their secular duties, not spend taxpayer time placing religious messages on patrol cars to the exclusion of the 23% of Americans who are not religious. FFRF Co-President Annie Laurie Gaylor concludes the letters asking the departments to remove "In God We Trust" from their vehicles to "respect the rights of conscience of all citizens, including those who in good conscience reject belief in a god."